Adopt tried-and-trusted tricks-of-the-trade to create the illusion of more square inches in your small bathroom. The first step to planning a small bathroom is to measure the space to help you understand its limitations. Then, work out how the bathroom is going to be used: Is it a busy family bathroom? Would a shower do instead of a bath? Perhaps it is an ensuite. If so, could you benefit from a short projection or back-to-wall WC? 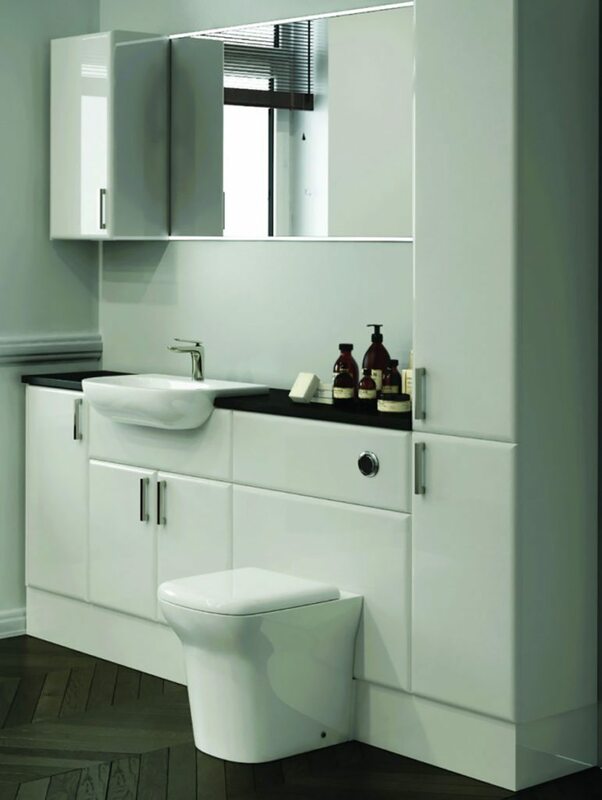 The Caversham wall-hung vanity unit is available with one or two drawers and in a range of finishes including graphite. Priced from £545 at Heritage Bathrooms. For bathroom inspiration, flick through magazines, read design blogs and visit Pinterest. Many manufacturers offer online tools to help you plan your design; take a look at: www.villeroy-boch.co.uk/bathroom-planner or www.bathstore.com/bathroom-planner-tool. Visit reputable independent bathroom shops as well as chain stores. They will give you great personal service and help you optimise the space. A really clever trick to give the illusion of more floorspace is to lift any fixtures and fittings off the floor. 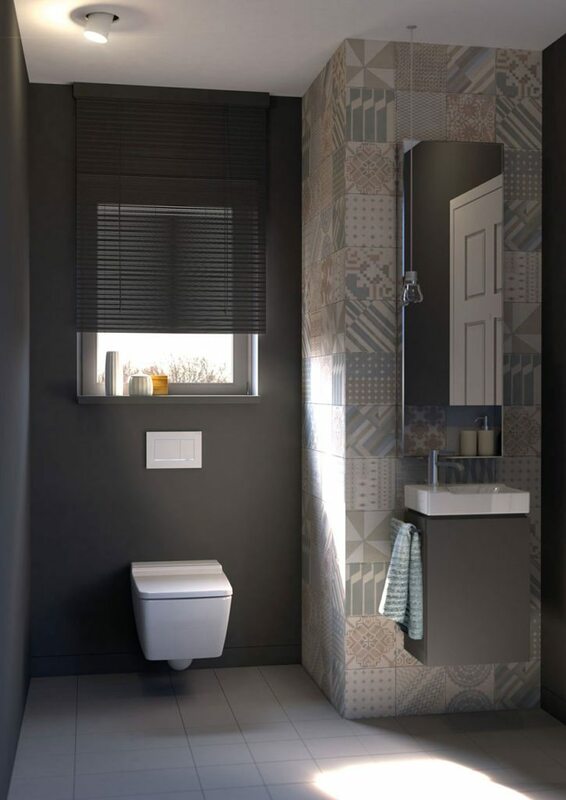 “The floor space that this simple trick reveals can make the room seem so much larger,” says Stuart Newbury, head of group marketing at, Pura Bathrooms. Wall-hung sanitaryware makes cleaning much easier, too. And with the fittings and plumbing all neatly hidden behind a stud wall, it also creates an uncluttered finish, which is so important in smaller bathrooms. The space below the wall-hung short projection Essence WC, £270, creates the illusion of more space. Available at Pura Bathrooms. Wall-hung sanitaryware makes cleaning easier. Pictured here is the Geberit Duofix frame for a wall-hung WC, which costs from £337. Look out for compact or reduced-projection sanitaryware and furniture when working with less than generous dimensions. 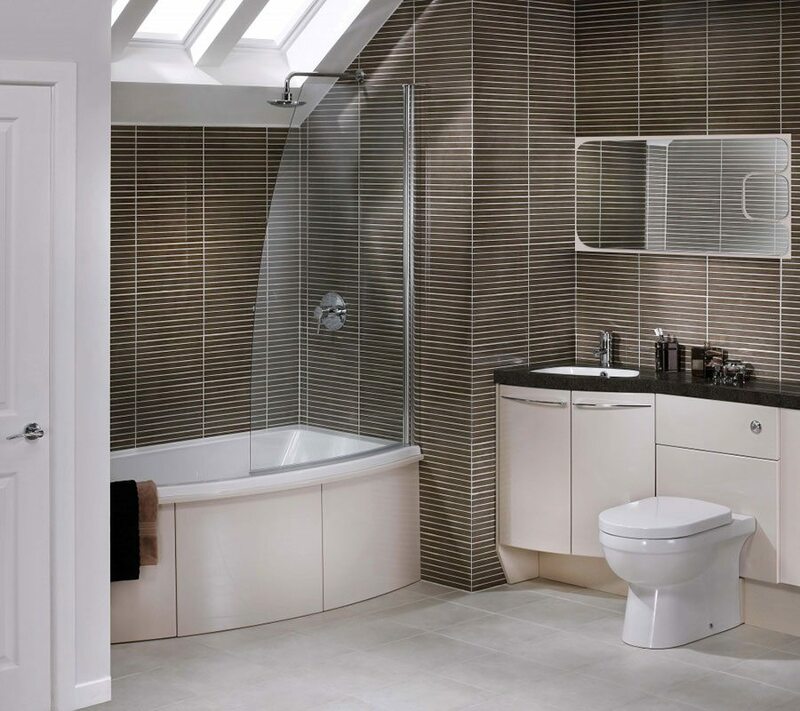 Smaller-than-average models will maximise space and give the illusion of a bigger bathroom. 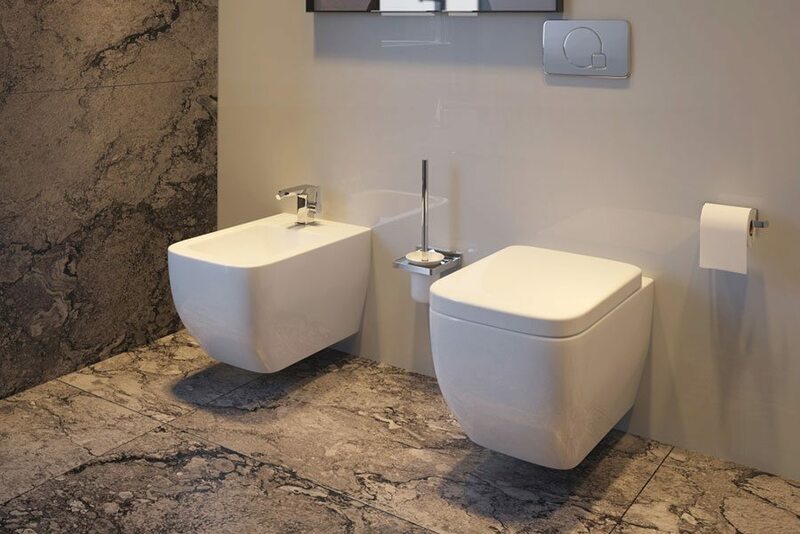 “If you feel that the WC takes up too much room, then concealing the cistern by creating a false wall means that every inch of space has a purpose,” reveals Georgina Spencer, head of marketing at Roca Group. Make the most of corners. What appears to be a redundant space in your bathroom can be easily transformed with a corner base or wall cabinet, washbasin or even WC. 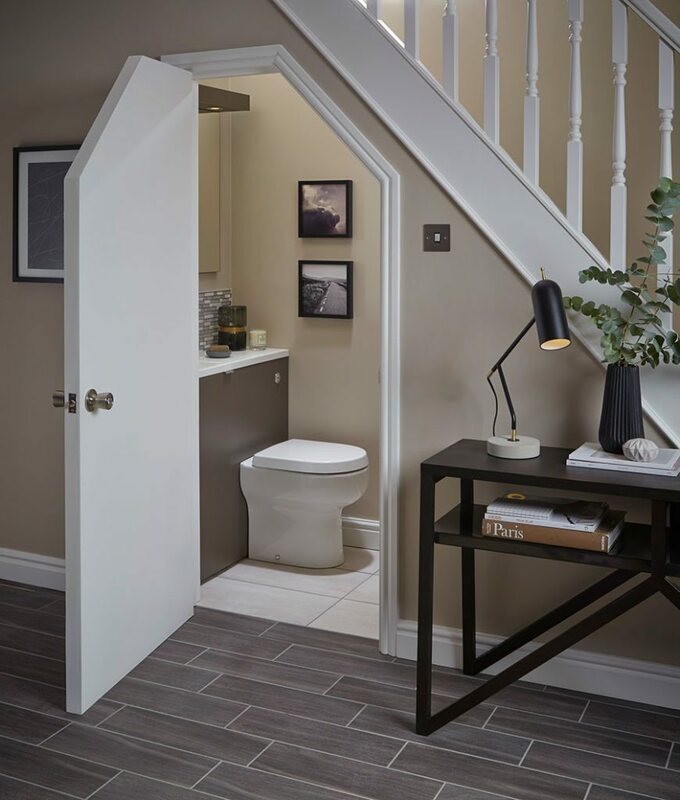 Slotting snugly into a corner, the Ideal Standard Concept Space WC, £225.07, is perfect for bathrooms with limited space. While basins are less problematic to relocate, moving the WC might mean moving the soil pipe, which can be costly and disruptive. However, Sam Ball, marketing manager at Utopia, strongly advises not to stick to the same layout if it doesn’t work for you. “Ask your plumber to advise on what can be done with the space before you start. Or if you are using a bathroom showroom, they will be able to provide you with options too,” she suggests. The MyPlan 500 WC from Bathstore, £199, is just 30cm deep and there-fore ideal where space is at a premium. 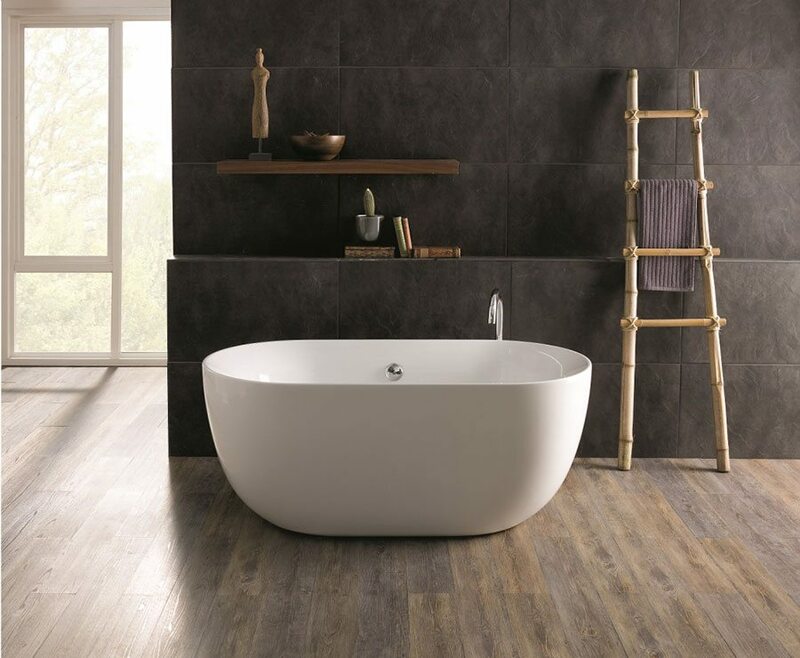 Factor more into your bathroom without compromising on space with an inset bath – fitted flush against the wall – or shower-baths, which are ideal for bathrooms where there isn’t room for a separate shower and bath. Utilise the space under the bath with built-in storage or shelving. Freestanding baths are still an option if you look for a compact design. A standard bath size in the UK is 170cm long; Dinkee by BC Designs (seen below) is just 150cm. If space is at a premium, but you have set your heart on a freestanding bath, then Dinkee from BC Designs is a perfect solution. Retails at £1,329. The Symmetry shower-bath by Utopia is gently curved so that it takes up as little space as possible, while having a generous area at the showering end. Priced £649. While the bathroom is often the smallest room in the home, the demands placed on it in terms of storage are at an all-time high. 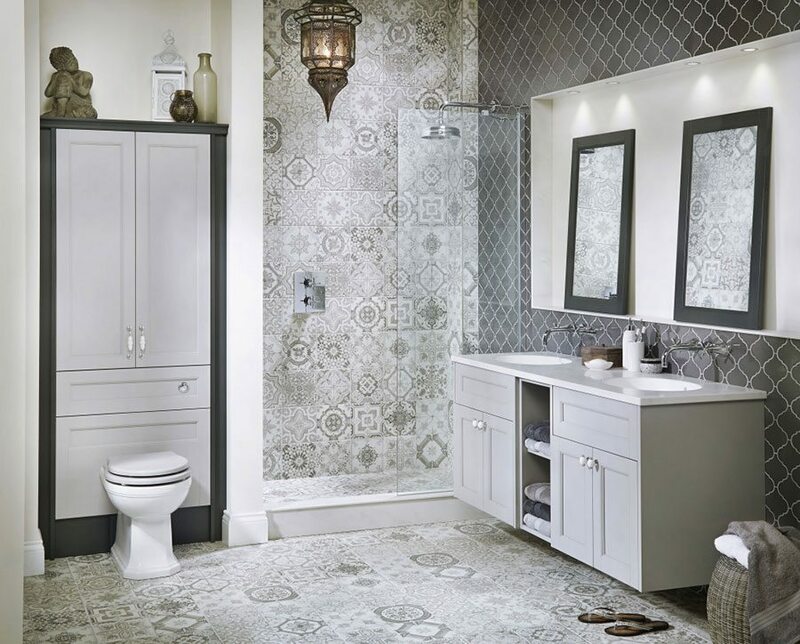 “Homeowners are now more than ever looking to installers to transform their bathroom from a cluttered space to one of sanctuary and comfort,” says Georgina of Roca. 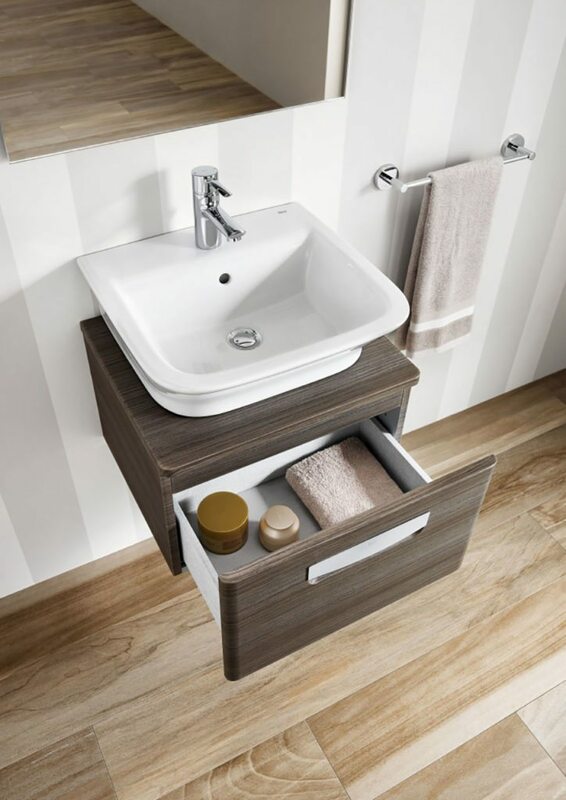 Basins with integrated base units are an excellent way to increase storage while optimising space and keeping all your bathroom essentials in easy reach. Choose a wall-mounted model to free-up floor space and give the illusion of a bigger bathroom. Team your basin unit with a mirrored cabinet. The extra storage space always comes in useful, while the mirror will bounce light around. If you are concerned that a wall-mounted cabinet will encroach into the room, consider a recessed version. John Wilson, product training manager at Bathstore recommends styling your room upwards. “If you only have a tiny bathroom, why not add some shelving above the WC? It’s a great place to keep toilet rolls and hand towels without encroaching on valuable space,” John says. The Gap-N one drawer base unit from Roca, seen here in dark textured wood, is available in a choice of three widths and retails at £454. The myDay collection from Keramag Design features four glass shelves, while a fabric storage pocket hanging inside the door is ideal for keeping the space clutter free. The unit costs from £913. Incorporating reflective materials into your bathroom design is a great way to give the impression of space. Think high gloss, high shine finishes that reflect light back into the bathroom. As small rooms often have small windows, creating light and a sense of openness can be difficult. Introducing a mirror to create a sense of depth is a classic tip that really does work. 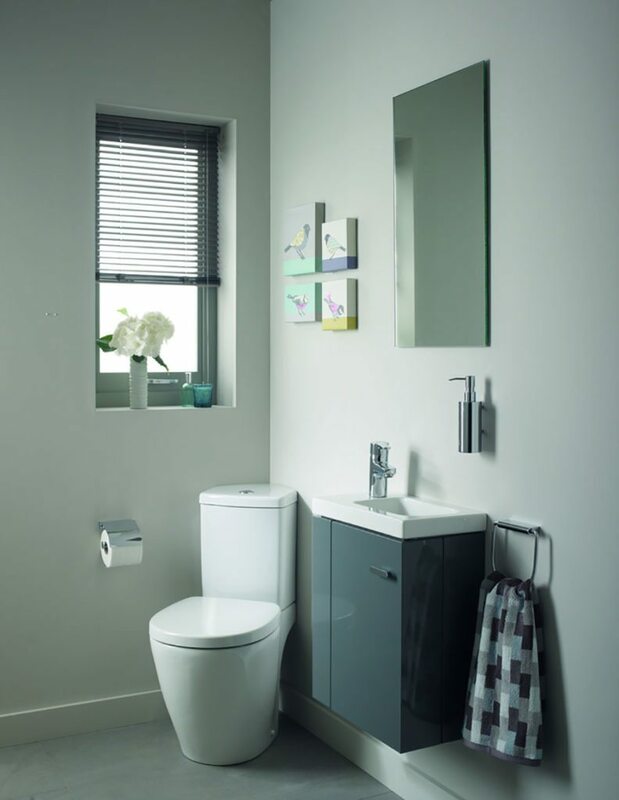 “If you do choose a large statement mirror though, be sure to opt for one with a metallic or neutral coloured frame to reflect light back into the room and avoid dominating the space,” advises Charlie of Heritage Bathrooms. 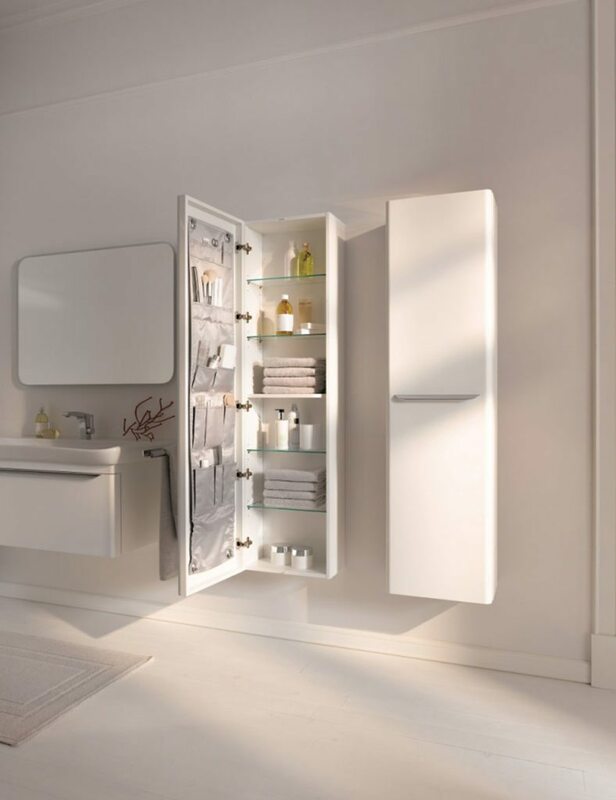 Deuco white gloss fitted bathroom furniture reflects light back into the room giving the appearance of more space. The addition of mirrored storage units contributes to this light, airy feel. Priced £384 at Pura Bathrooms. As a rule, fitted furniture is the best solution for small bathrooms as it makes use of every square inch of space and creates storage opportunities that are essential in keeping tight spaces clutter free. 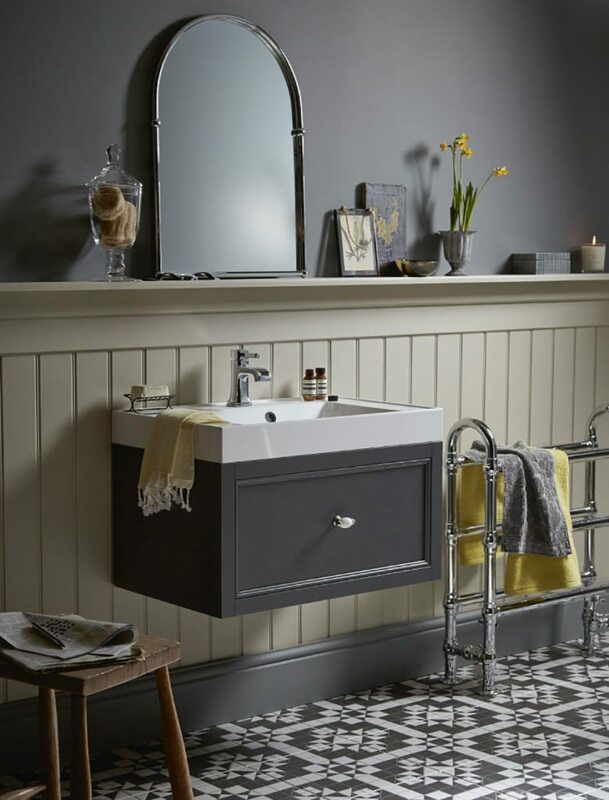 Two vanity units from the Utopia Roseberry range (£545 each) have been wall-hung to save the bathroom from looking small. The area above a WC is usually wasted space but here, storage has been added above the reduced depth WC (£645). A walk-in shower comprising a frameless glass screen and flush-to-floor shower tray generally looks and feels more spacious than a bulky enclosure. Integrate wall niches into the showering area so that you have somewhere handy to stash your shampoo. Swap a bathroom radiator for space-saving underfloor heating. 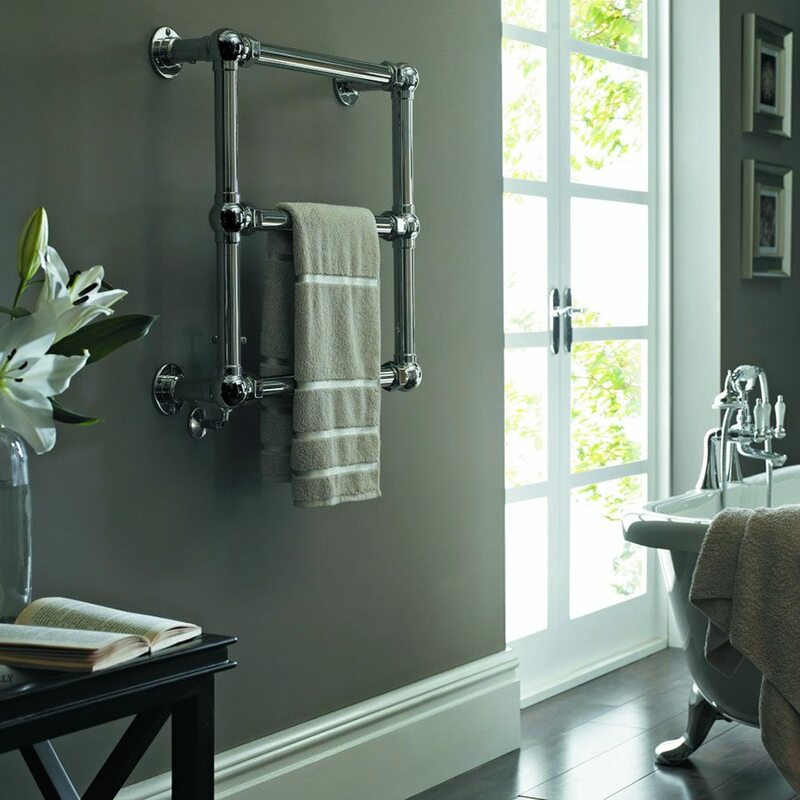 Complement it with a wall-hung towel rail, which won’t take up too much space. The LG032 by Vogue is available in two sizes and in both a wall-hung and floor standing version. LG032 is made from brass and is then chrome plated to give it a durable finish. It retails from £1,938.